KASHISH Mumbai International Queer Film Festival invites you to submit your LGBTQ themed films to the 10th Anniversary of the festival which will be held from June 12 – 16, 2019 in Mumbai. The festival is organized by KASHISH Arts Foundation, a not-for-profit trust working towards mainstreaming queer issues through cinema and arts. KASHISH Mumbai International Queer Film Festival is South Asia’s biggest LGBTQ film festival and has been voted as one of world’s top 5 coolest LGBTQ film festival. The festival is also one of the biggest pride events in India. The festival accepts submissions of Features, Documentaries, Short films, Experimental films and music videos – all should be related to LGBTQ lives and stories. The theme for KASHISH 2019 is ‘Over The Rainbow’. Submissions are now open on FilmFreeWay, the world’s #1 submission platform. Earlybird discount of 20% available till November 30th. Final deadline for submissions is January 31, 2019. The Northern Wave International Film Festival will be celebrated from the 27tht to the 29th of October 2017 Rif in Iceland at the Freezer hostel and theatre. The philosophy of the festival, upon which its name is based, is Nouvelle Vague, or New Wave. Like Nouvelle Vague, Northern Wave attempts to revive the recognition of film making as an art form and the director as artist/author. An important goal of the festival is to develop relationships between experienced filmmakers and emerging filmmakers in Iceland and other countries. We are a visionary festival that celebrates artistic and ground braking films by filmmakers who dare to take risks. The festival consists of a short film (all genres) section and, for the first time ever in an Icelandic film festival, a music video section. Bands will be encouraged to attend the festival and support their videos with a concert during the weekend. In this way, the musicians can make contacts with filmmakers and vice versa. The Northern Wave weekend consist of a numerous screenings of a variety of international short films. The program also includes a lecture from a professional from the film industry, a fish soup competition at the local fish market and numerous concerts and events during the weekend. To encourage the production of media in both the independent and professional market that portray the human race in a positive light, and to applaud original works that redefine media through innovation, creativity and sensitivity that both enlightens and educates audiences from around the world. 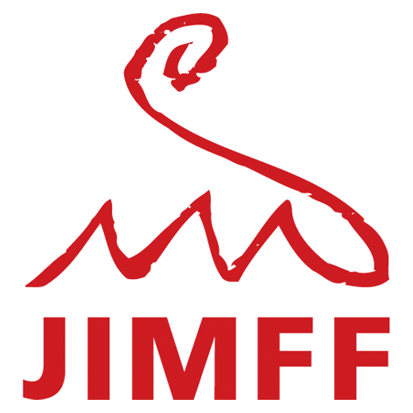 The festival considers entries of ALL GENRES from shorts to full-length features, and is held in Southern Utah, nearby Zion National Park and Cedar Breaks National Monument. The location is ideal for the vacation-seeking filmmaker. It is an artist's retreat for film, cuisine, parties, and workshops with approachable professional people. This emerging festival is held each November in Festival City. The International Red Rock Film Festival. The Red Rock Film Festival was formed in 2007 in Southern Utah, and quickly became a internationally recognized festival with 6,000 attendees in 2008. It made MovieMaker Magazine's list of "Top Festivals Worth the Entry Fee" in both 2009 and 2013. The 12 Months Film Festival (#12MFF) is an international online film event that attracts, displays and awards movie enthusiasts, and professionals from 6 continents, in the largest monthly qualification challenge for the Grand Prize. The 11 months editions will award and send 3 winners each in the #12MFF for the Grand Prize that takes place the end of April 2017. The 120seconds.com Digital Film Festival is a celebration of digital shorts in the categories of narrative, documentary, music, animation, and experimental. All films must be made by Canadians and under 10 minutes in length. The festival presents a hundred films of all genres, from the countries of the East and West, and highlighting a cinema of quality shaking the norms and initiating dynamics of transformation of mentalities. The program explores oriental societies in their diversity and questions the boundaries between the East and the West, through fictions, documentaries and short films that are unknown or little known in Switzerland. FIFOG also seeks to initiate debates on themes related to the East as well as the West, to offer a platform of expression for young directors in Switzerland and the Orient, and to foster dialogue and understanding Intercultural dialogue. Jecheon International Music & Film Festival (제천국제음악영화제, JIMFF) strives to be both a celebration of film set in Jecheon City and music for all generations and musical tastes. Jecheon is located in Chungcheongbuk province in central Korea. 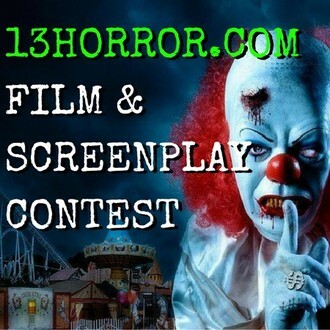 13Horror.com is back with THE go-to contest for horror screenwriters and film-makers! For films that are 30-minutes in length or less. Narratives, Documentaries, Animation, Music Videos. Award Certificates are issued in 14 categories. We are located in Florida, USA. Films must be submitted on DVD/NTSC. The festival does not view online entries.